In recent decades, there has been a major shift in the way researchers process and understand scientific data. Digital access to data has revolutionized ways of doing science in the biological and biomedical fields, leading to a data-intensive approach to research that uses innovative methods to produce, store, distribute, and interpret huge amounts of data. In Data-Centric Biology, Sabina Leonelli probes the implications of these advancements and confronts the questions they pose. Are we witnessing the rise of an entirely new scientific epistemology? If so, how does that alter the way we study and understand life—including ourselves? Leonelli is the first scholar to use a study of contemporary data-intensive science to provide a philosophical analysis of the epistemology of data. In analyzing the rise, internal dynamics, and potential impact of data-centric biology, she draws on scholarship across diverse fields of science and the humanities—as well as her own original empirical material—to pinpoint the conditions under which digitally available data can further our understanding of life. Bridging the divide between historians, sociologists, and philosophers of science, Data-Centric Biology offers a nuanced account of an issue that is of fundamental importance to our understanding of contemporary scientific practices. 3 What Counts as Data? 4 What Counts as Experiment? 5 What Counts as Theory? "This is one of the most important books published in science studies over the last few years, and generalist readers should not be put off by its seemingly narrow topic, namely the actualization and validation of the vast mass of biological data encoded in digital formats, so that it may be ‘shared’ amongst relevant scientists. One should take the subtitle seriously: the world is bloated with attempts by philosophers to clarify the fine points of empiricism in science, but almost none of that achieves anything near the level of insight and enlightenment achieved in this short book. Perhaps more surprisingly, few authors prove capable of grasping the profound transformations happening in the political economy of science with greater sensitivity than Leonelli. Her pungent observations deserve the attention of anyone interested in the meaning and significance of the ‘Open Science’ movement." "Has there been a shift in what “data” means that is key to understanding the future of science? Sabina Leonelli’s new book, Data-Centric Biology: A Philosophical Study, argues for an important and fruitful answer outside the comfort zone of many philosophers. Along the way, she also delivers valuable insights into expanding efforts to standardize, automate, and communicate how scientists handle, share, reproduce, interpret, and store data." 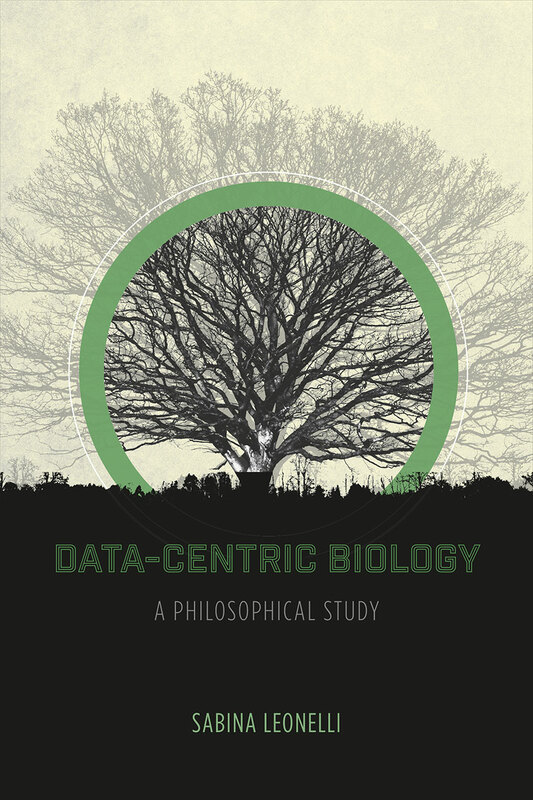 "In Data-Centric Biology: A Philosophical Study, Sabina Leonelli provides the first book-length study of what is novel about data-centric research in the life sciences. . . . Her book is a laudable achievement in integrating insights from a methodologically permissive and pluralistic outlook." "The dynamic, procedural themes running throughout Leonelli’s book usefully shift our philosophical focus from the abstracta of understanding how science works from a frozen perspective to a more useful analysis of how scientists in fact get the job done (when they do) and—more critically—how they might do it better." "Data-Centric Biology is a rich and carefully argued book that nicely integrates social and philosophical perspectives . . . a pathbreaking contribution"